BluePeak autofluorescence is a non-invasive scanning laser fundus imaging modality that reveals metabolic stress in the retina using lipofuscin as an indicator. BluePeak images can reveal RPE and photoreceptor cell malfunctions, offering diagnostic insights into retinal conditions such as AMD and hereditary diseases. 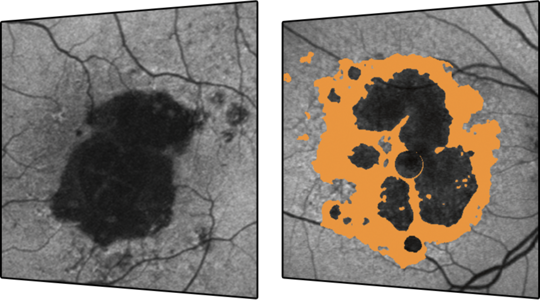 By combining the segmentation of retinal layers in OCT with the metabolic mapping of BluePeak autofluorescence, morphologic alterations associated with functional change can be seen more clearly. With the RegionFinder software, diseased areas seen in BluePeak images can be quantified and followed over time. 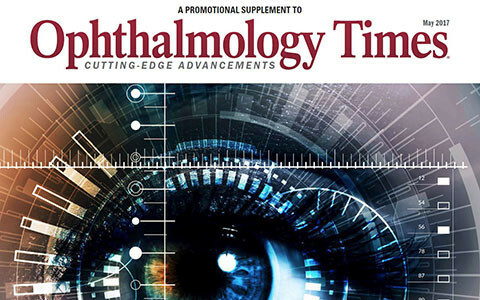 In this new supplement published by Ophthalmology Times retina specialists discuss several proceedings for multimodal imaging of Geographic Atrophy. 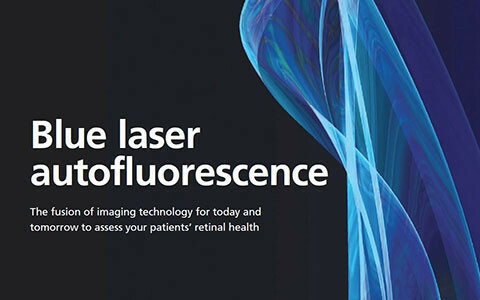 The fusion of imaging technology for today and tomorrow to assess your patients’ retinal health.